In order to understand and ultimately prevent the behaviours that cause divisions in our society it is sometimes necessary to look at how those behaviours evolved and why some people in our communities behave the way they do. The trigger for the recent revival of racism, Islamophobia and prejudice in the UK was the Brexit referendum when the country voted to come out of the European Union. Over 17 million people voted to leave the EU, many of whom were happy to quote slogans about “Taking our country back,” and “Keeping Britain for the British.” The public face of the campaign on both the Leave and the Remain side was one of national identity, identifying as an independent country or as part of the wider European community. From the very beginning the referendum was associated with the concepts of unity and division, the concepts that would go on to cause conflicts not just between Britain and the EU but among the people of Britain themselves. Having endured several years of Tory austerity, by the time of the June referendum individuals and communities were starting to feel the pinch of wages not keeping up with inflation and the significantly reduced spending on public utilities. This increase in poverty led to a resentment of other cultures and the view that “they” (immigrants, Muslims, the Polish, the Jews, black people etc.) 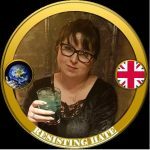 were using resources that some native Brits felt should only be available to “British” people. This economic downturn contributed to the frustrations of people in financial difficulty and fuelled a discontent which was to sow the seeds of disharmony between communities in the UK. This fear was tapped into and utilised exceptionally well by UKIP with the blatant lie that the funds employed to stay in the EU would be diverted to the NHS. Post referendum we now know this to be a lie but it does serve to illustrate the concerns of the people at the time the referendum took place. A fundamental reason why so many people did vote leave was in the belief that it would lead to a boosted economy and a better standard of living for those in the UK. UKIP also channelled the nationalistic fervour of some UK citizens. It is perhaps no surprise that nationalism tends to be more prevalent among working class, poorer, less educated people who made up a large proportion of the leave voters. For people out of work or in unfulfilling jobs nationalism can provide a sense of worth and identity. For people already starting to resent who they see as outsiders in their country nationalism can be a dangerous step toward far right fascism. 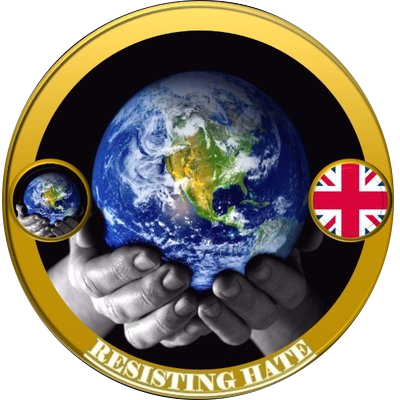 This can clearly be seen with the rise of far right hate groups such as Britain First, the EDL and Pegida, all of whom have gained support over the past five years. While Britain was struggling to make ends meet the media was also busy adding fuel to the rising flames of discontent in the country. The Daily Mail seemed unable to print a headline that didn’t feature the word “Muslims” and even the BBC were happy to give the impression that the terrorist supporter Anjem Choudhary was a spokesman for the Islamic faith. Social media, particularly Twitter and Facebook were slow to remove far right propaganda accounts which allowed hate to spread directly and unchecked into news feeds. The Murdoch empire not only refused to curtail bigotry but actually employed Katie Hopkins to spout it all over The Sun newspaper. Murdoch also backed Sun writer Kelvin Mackenzie for harassing a female Muslim journalist about her personal choice of clothing. It was interesting to notice that many of the areas with a large Brexit vote were areas with very few ethnic minorities. The more diverse areas – London of course – but also some of the major Northern cities were much more open to the idea of staying in the EU. The rationalisation of bigotry toward perceived “foreigners” was also in a minority in these more diverse regions. This does suggest that a lot of bigoted hatred is fuelled by the uncertainty and fear of the unknown from those not living in multicultural areas. For the people who do mix in diverse communities there was much more of a willingness to integrate and less fear of different cultural influences. In the months running up to the referendum there was a lot of publicity given to the growing concerns about the dilution of the British culture, in particular the Christian church and “traditional British values.” Speaking to some of the leave voters about the cultural rather than the political implications of the vote it struck me time and time again what a factor the fear of cultural dilution had played in the decision making of many. Unfortunately a lot of the examples given to support cultural dilution tend to once again be the fantasy of the media. The “Winterval” urban myth persists to this day to the extent where Theresa May had to announce in Parliament that she was still all in favour of Christmas. But these myths and rumours continue to permeate, encouraging the false belief that “immigrants” are coming not to coexist with British culture but to eradicate it. The consequence of the climate created by a problematic economy, growing nationalism, a sensationalist media, a mistrust of other cultural communities and right wing political groups like UKIP taking full advantage of all of the above was to create the perfect conditions for a catalyst that would bring “socially acceptable” bigotry into the British public mainstream. The EU referendum acted as that trigger. 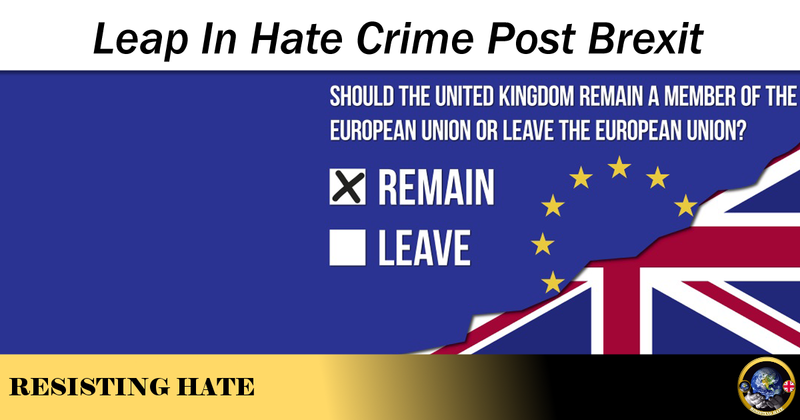 The vote to leave the EU gave the growing discontent a voice, translated fear and worry into hate and hate crime and legitimised prejudice and discrimination in a way we have not seen in the UK since the 1980s. Brexit did not make people bigots it gave existing bigots in a challenging climate a license to behave in a bigoted way.